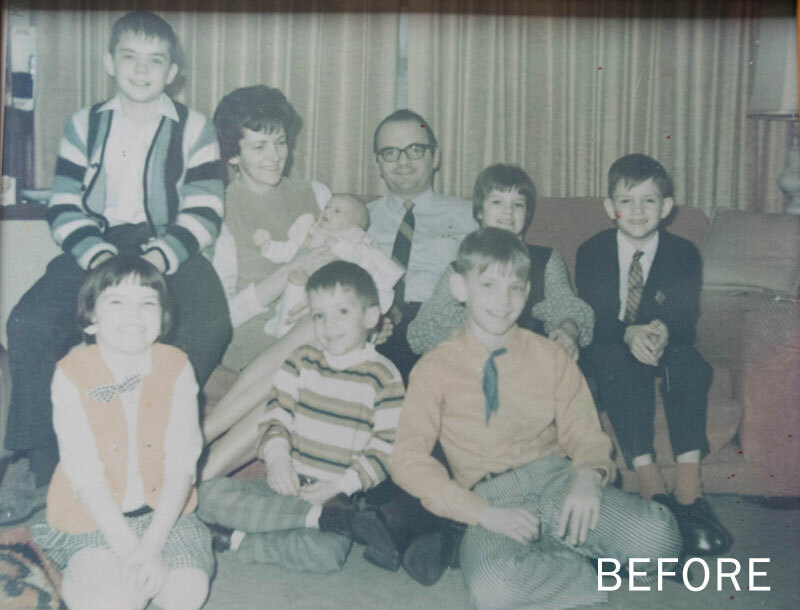 Restore your family memories to their original brilliance! 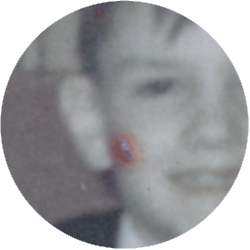 No photo is too far gone to be restored! I combine both my technical skill and my artistic abilities to recover lost details, reverse fading, and restore vibrant colors. For heavily damaged areas, I paint the details back in from existing areas of the photo to guarantee an accurate match. Dust and scratches can be removed quickly and with ease to preserve the original quality. Since old photos were taken on film, I lighten any grain and enhance details to bring back the sparkle in your loved one’s eyes. I treat every image as if it were my own. Don’t let your priceless family heirlooms collect dust. Contact me to see how you can restore your pictures today! Unsure of what to do with old rolls of 35mm film, slides, negatives, or other dated photo media? Let’s bring it into the 21st Century. Using high-tech processes, I am able to import your old memories into high-resolution digital files that can be shared on the web. Don’t risk mailing your photos into other companies who claim to have your best interest at heart. Trust someone with a face who will greet you with a handshake and guarantees the safety of your treasured pictures. 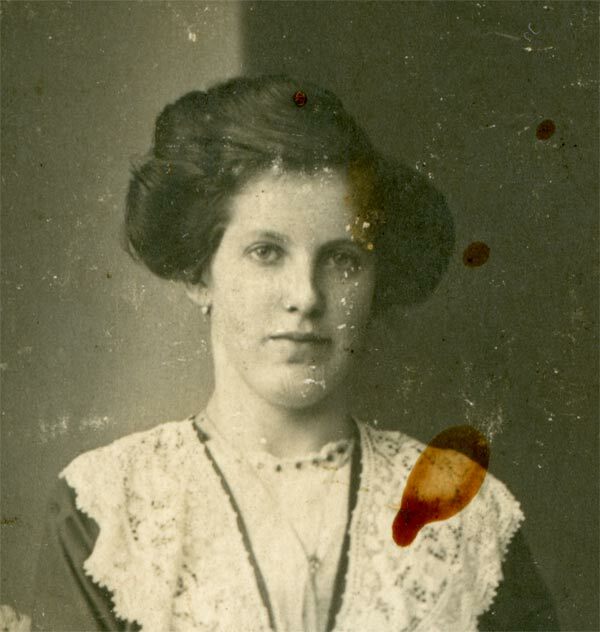 This is one of my family’s pictures of my great-great aunt Frieda. 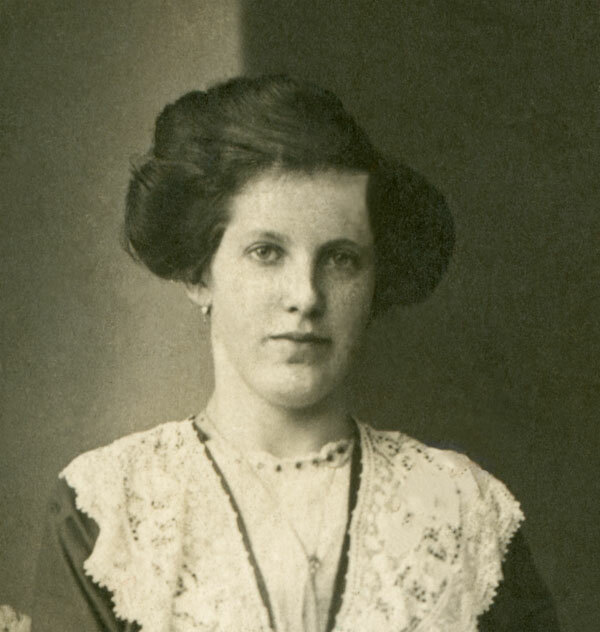 She’s said to have died from tuberculosis in Germany in 1918 at the young age of 21. My great-grandfather brought this photo with him when he immigrated in 1925. Unfortunately, time had not been kind to this beloved photograph. The picture was badly worn in many places, damaged with both small and large scratches. Some brownish substance had been spilled on it and was not physically removable, partially covering part of her face. 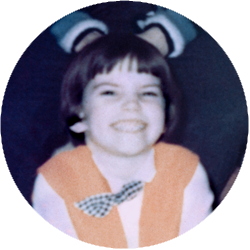 I scanned the photo in at the highest resolution possible and immediately restored some of the contrast, as it had faded. Since it’s an older photograph, there’s incredible detail that was preserved by the older film process–which in my opinion is far superior to the way film is processed today. This allowed me to recover many details that were obscured. For detailed areas, I was able to sample from the original image and paint in sections digitally to match the original skin tones, creating an image that shines with the quality paralleling that of when the photo was first taken. I’m sure if aunt Frieda were around today, she would be both surprised and amazed that her memory still lives on through her picture. 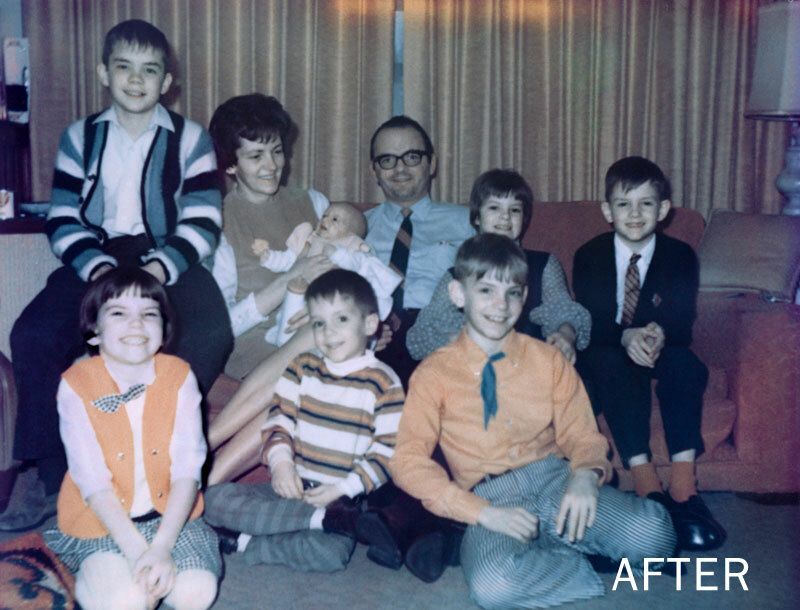 Preserve the memories of your family and retell their stories by restoring your photos for the next generation. See the Restoration Process in Action! Dust and scratches can detract from your photograph. By removing years of marring, your picture can bring the emphasis back to your loved ones, right where it belongs. Over time, photos can lose their vibrance when faded by sunlight. Reverse this process to add color back into your image and breathe new life into your keepsake. 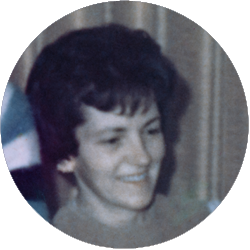 Sometimes photos become damaged and areas of importance are overshadowed by blemishes, stains, and other imperfections. 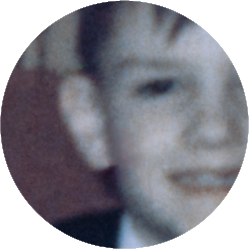 Using both technical processes and digital artistry, the picture can be restored to near-perfect quality.